Pre-Engineered SWIR Lenses: Don’t have a complete design? No problem! To learn more, please feel free to contact us at 732-321-6915 or info@shanghai-optics.com. Spec Sheet for 12.5mm, 17mm and 25mm SWIR. Off-The-Shelf, contact us for product availability. 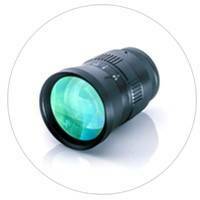 SWIR lens is a series of optical lenses that operates in the 0.9-1.7μm shortwave infrared wavelength range. SWIR imaging applications requires optical lens that effectively deliver visible, near infrared, and shortwave infrared light. Lenses designed by SO can guarantee high and clear image quality in any of the following weather conditions: sunny, fog, dawn, night or dusty day. SWIR lens can be used in solar cell testing; outdoor night vision imaging (security application); fruit surface scratches detection; silicone imaging, biomedical imaging and other infrared applications.